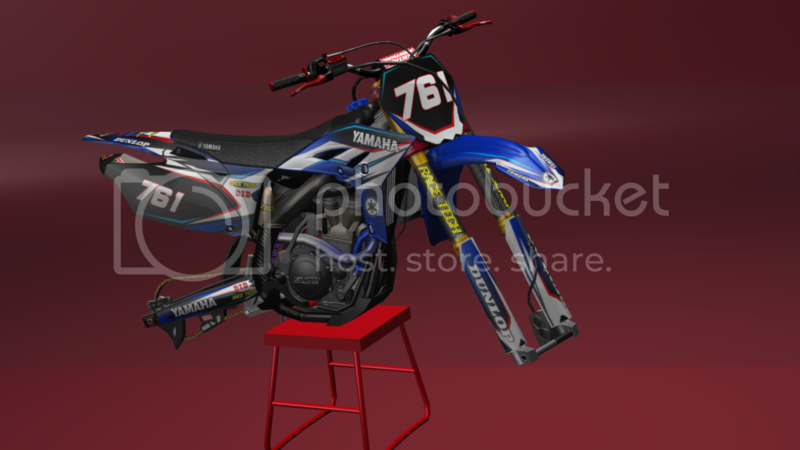 Here is a PSD to a YZ I did a while back. This is just a cut out. Decided I'm not going to use it this year so I may as well release it so others can if they choose. Includes 250 and 450 plates, just add your own logos/decal and do as you please with it. Please don't flood me with PM's on how to name it. If you don't know ask someone else, figure it out yourself or just dont DL it. Enjoy! Ronny_Rocket wrote: Looks clean, Thanks! Looks like MO bikes from awhile ago lol. Lol, you released it for we use it in a team ? By the way, the bike looks very good, the colours is very creative! Gideon#67 wrote: just add your own logos/decal and do as you please with it.